The orange and green squares and plaids in the Gingezel Cozy collection have a contemporary art deco mood. There is also a trendy pixellated check in shades of orange gold and green. Cozy Grid Horizontal Stipe orange and brown fabric from the Gingezel Cozy Collection. Printed on quilting weight cotton. Cozy Deco Plaid 1 on quilting weight cotton. 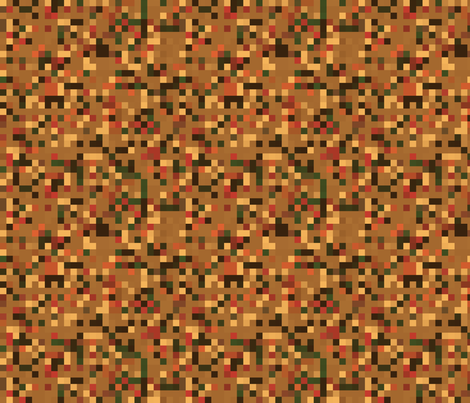 Brown and Gold Pixellated Check fabic.